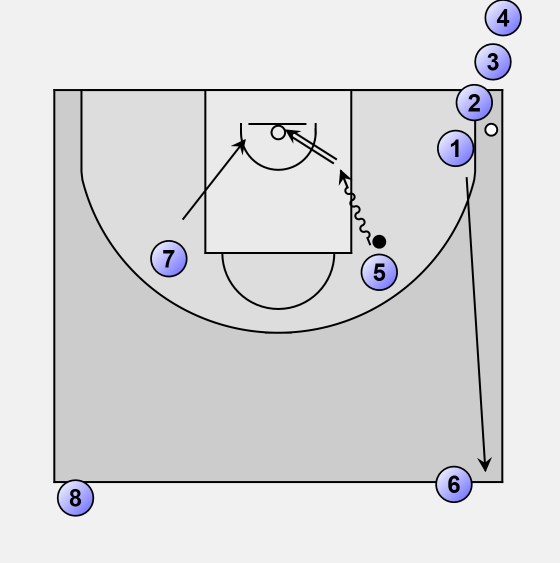 Player 5 gets a pass from player 1 and goes to the basket. Player 7 goes for the rebound. Player number 1 goes to the midline. And player 5 takes makes his lay-up. 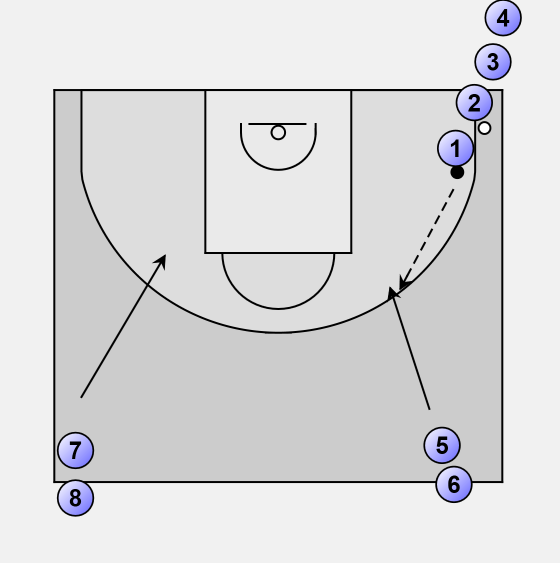 Player 7 takes the rebound and gives an outlet pass to player 3. He/she continues after his ball to the baseline corner. Player 2,6 and 8 started with there rotation.